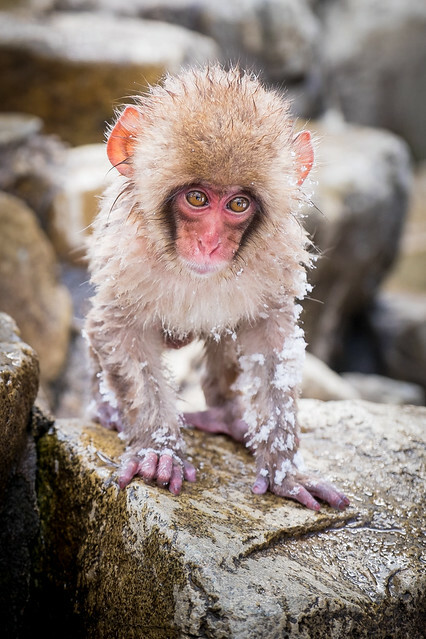 Easily accessible from Nagano, the Jigokudani Snow Monkey Park is famous for its group of Japanese macaques who warm themselves by bathing in a onsen (hot spring) during the cold days of winter. 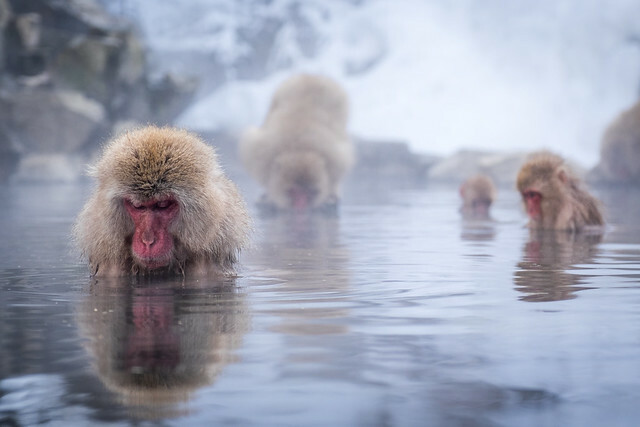 If you are on holidays in Tokyo, you can visit the Snow Monkey Park as a day-trip (if you are ready to wake-up early and come back late you can even take a detour to Matsumoto to see the castle on the way back), but there are only a limited number of buses that run between the Yudanaka train station (which you will be likely coming from) and the start of the trail that leads to the onsen (from the Kanbayashi Onsen bus stop), so if you decide to do that make sure to plan your trip carefully. You can find some very useful the timetables of the main trains and buses here. 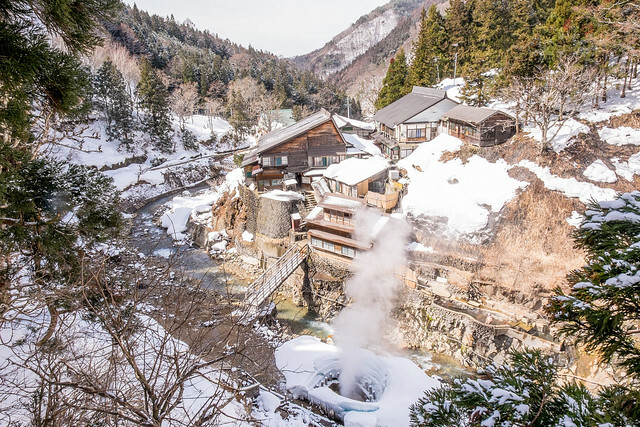 Having said that, rather than doing a day trip I would recommend to treat yourself with a night in a ryokan of the hot spring resort of Shibu Onsen in the same area. 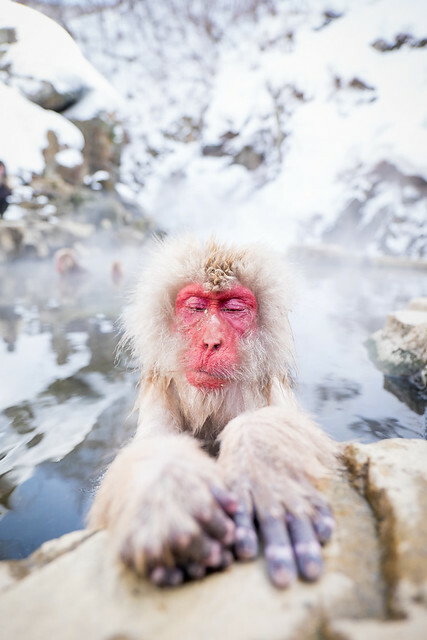 This will give you more flexibility to go to the Snow Monkey Park at your convenience, and potentially before the many buses of tourists that will keep on coming through the day. 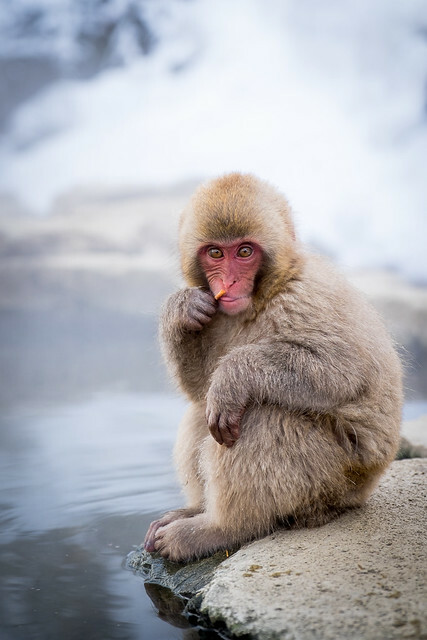 Before you go to the Snow Monkey Park, you can find all sorts of informations about the Japanese macaques here, including their daily life and their system of dominance hierarchy. There is even a live webcam if you want to check the current activity and the weather conditions. 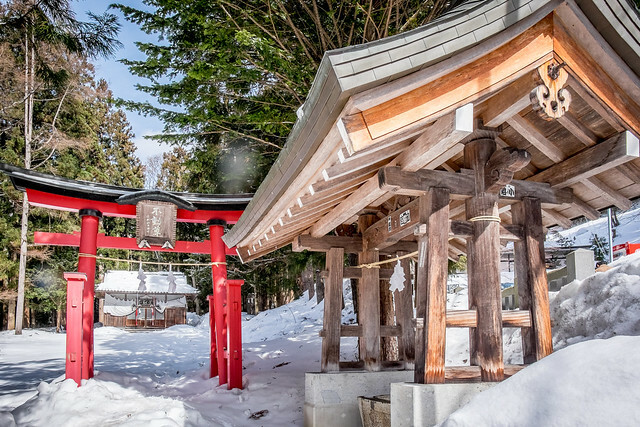 The walking trail that goes from the Kanbayashi Onsen bus stop to the Snow Monkey Park is a very easy stroll through the forest, and takes 30min when taking your time. 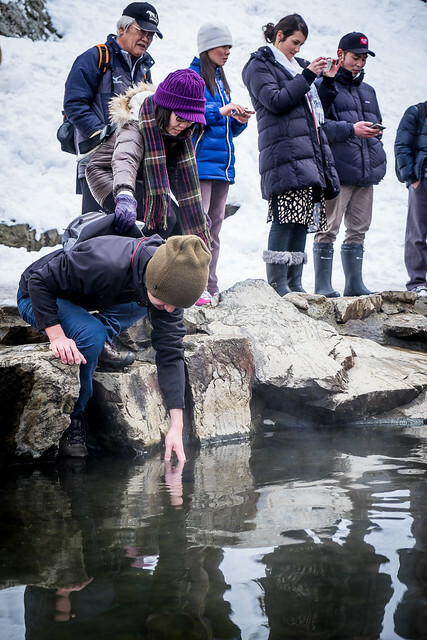 If you spent the night at Shibu Onsen, you will arrive by a shorter trail from the other side of the valley. 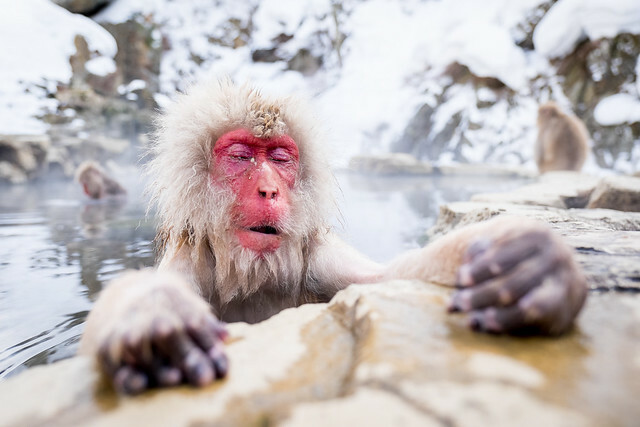 The Jigokudani Snow Monkey Park is a must-do when you visit Japan in January or February in my opinion, but it is becoming victim of its own success. As you can see below, once the days start to warm up going into Spring, you might end up with only few monkeys facing an army of tourists, which explains the lack of variety of pictures I took on this specific occasion and left me disappointed compared to my previous visit. I will probably go back for a week-end in January next year to get better pictures. The highlight of my day was actually (cruelly) when one of the visitors dropped his point-and-shoot camera into the bath. As he leaned forward to try to fish it back, his iPhone fell off his pocket and sunk into the water and his wife had then to retain him by his bag otherwise he would have just jumped into the water himself! 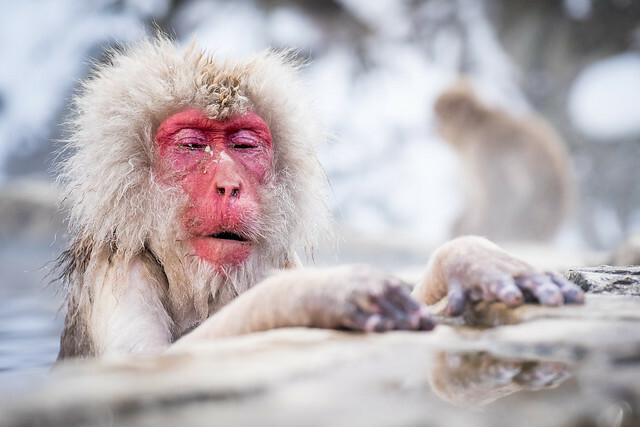 I was hoping one of the monkeys would get the phone first, so that I could get a shot similar to this famous one, but someone from the park just came to fish everything back with a net, looking as if it is quite a common problem these days.